Sustainable rural development is an answer to a multitude of complex pressing issues that require global attention. The responses to these issues are equally complex and the best ones are those that draw synergistic connections and offer holistic solutions. In the making of RUVIVAL, these complexities are recognised and addressed, both when it comes to problems and solutions. That is why in developing RUVIVAL learning elements, different tools, materials and styles are used, for a comprehensive learning experience. Some elements have a more technical or practical nature, while others are more theoretical. Some are text based and others are image based. Collaboration is key for developing RUVIVAL into the open access e-learning platform it is today. You can see all RUVIVAL collaborators in the Team list. Beyond this, the newest project addition RUVIVAL Community is helping to bring invaluable knowledge sources and practice examples. The following video will give you an insight into potential uses for biowaste and why they are an important measure for fighting climate change. For more information, make sure to check out the rest of the material on this topic. Enjoy! 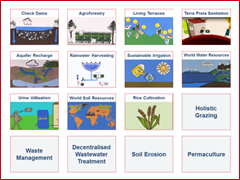 Biowaste Usage Video by Manasa Suresh is licensed under a Creative Commons Attribution-ShareAlike 4.0 International License. Traditional environmental rainwater harvesting is an important topic for RUVIVAL. Let’s see how much you have learned or you already know about it! Click on the right answers, to compile a summary of this topic! If there are still some parts you are not familiar with, you can always check out the rest of the Toolbox element. New materials will be added in the upcoming weeks. 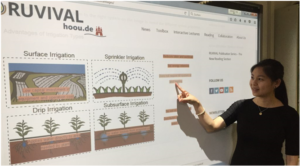 Traditional Rainwater Harvesting Interactive Summary by Sumbal Tasawwar and Ruth Schaldach is licensed under a Creative Commons Attribution-ShareAlike 4.0 International License. 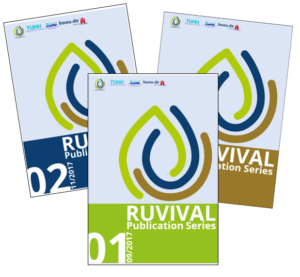 “RUVIVAL Book Series: Productive Ponds as Part of Rainwater Harvesting Systems in the Context of the Slope Farming Project Arba Minch, Ethiopia” by Stefan Hügel is the first book of the RUVIVAL Book Series. The book is available for free download via the Open Access Repository of Hamburg University of Technology. For more RUVIVAL Readings, click here. 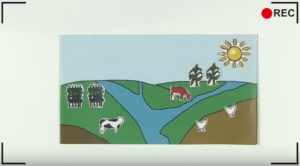 Get to know the Slope Farming Project here.